The Canadian Kitchen Cabinet Association and Habitat for Humanity Canada have announced a new partnership to work together to direct new and used kitchen and bathroom cabinets to communities in need. Kitchen cabinet manufacturers and suppliers across Canada can donate new or used cabinetry and supplies to Habitat for Humanity Canada. Many manufacturers and suppliers are already donating, but with a formalized partnership between CKCA and Habitat Canada, the intent is to create greater awareness and establish a clear and easy path in which donations can happen. CKCA President Mike Slobodian said the CKCA is pleased to be a national partner with Habitat for Humanity Canada. “We know and congratulate the many members already donating to this great cause and our goal is to help increase that good work by encouraging national participation from our members and the industry across Canada,” Slobodian said. This is also an excellent way to redirect materials away from landfill, if you are a manufacturer or supplier with aged inventory, overstock or removed kitchens from renovation sites, Habitat for Humanity is a solution. 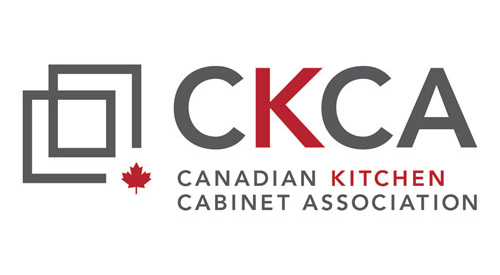 Canadian Kitchen Cabinet Association, now in its 50th year, is a national association that strives to promote the interests and conserve the rights of manufacturers of kitchen cabinets, bathroom vanities and related millwork, as well as our suppliers and dealers, throughout Canada. Founded in 1985, Habitat for Humanity Canada is a national, nonprofit organization working toward a world where everyone has a decent and affordable place to call home. Habitat for Humanity brings communities together to help families build strength, stability and independence through affordable home ownership. With the help of volunteers, Habitat homeowners and 54 local Habitats working in every province and territory, we provide a solid foundation for better, healthier lives in Canada and around the world.